App Store has updated its Made in Russia collection. The catalogue of the best Russian applications currently features games only. In early August, the App Store updated its Made in Russia section. Russian developers' applications are often highly regarded. There is a special App Store catalogue listing them. But not all applications in the App Store collection originated in Russia. Formally, some of them were created by Russian companies' offices abroad. The bulk of the collection is made up of 12 applications in a section titled, “Main Releases,” with eight more applications created by independent companies. The commercial thinking behind it is obvious. But the user will benefit anyway as it is clear where to turn to for technical support and future upgrades. We have selected the most dynamic and high-quality games. Part two of the popular game “Cut The Rope,” developed by Zeptolab, has been in the catalogue for a long time. It is largely the same story about candy and rope and is hard to describe as a sequel as hardly anything in the game has changed since its original release in 2010. What has changed is the environment, as well as Om Nom, one of the main characters, has finally got someone to help him, and there are quite a few more levels. With these upgrades, the game has gone from being free to finally becoming a paid product. Another Zeptolab veteran from the catalogue is “Pudding Monsters.” Several pudding monsters decide to run away from the refrigerator to save their lives. This simple game is mostly aimed at children, although many adults have become hooked, too. Zeptolab is an international company and both applications were released by Zeptolab UK, Ltd. But the company was founded in Russia six years ago and its head office, where its developers are based, is in Moscow. “Defenders” created quite a splash at one point, mainly because this elaborate strategy game is free, and features a 3D map, high-quality graphics and a clever plot. Daniel Tack from Forbes magazine is effusive in his praise, stating, "’Defenders’ is a must play for every fan of the genre." “Defenders” was developed by the renowned international company Nival. The company has been around for nearly two decades and was established in Russia. Its main offices are still based in Moscow and St Petersburg. “Evolution: Battle for Utopia” is a multi-genre game. Most of the playtime is taken up with strategic construction and mining for resources and action begins when players mop up others' territory and fight alien lizards and insects. Judging by user comments, the game would benefit from more innovative art and music. “Evolution” was released by a subsidiary of the Mail.Ru Group, My.com, Mail.Ru’s vehicle to help it compete internationally. This was done because it can be difficult to successfully promote a product in the West with a Russian name. In addition to games such as “Evolution,” My.com has also created an email and chat service. “Megapolis” is different from all of the other games in the Made in Russia catalogue. It is a city building simulator, where construction materials do not have to be bought: players can ask each other to give them as presents. This social function is what the game's popularity relies on. Indeed, buying additional materials can cost a fortune as the game’s currency is sold for $7, $10, $25 and even $50. This is why players often have to press the “Ask for Help” button. The game already boasts 20 million players. “Megapolis” was developed by Social Quantum, a Russian company. According to some reports, it has seven offices in Russia and CIS countries. The developers of this game claim that everyone can become a God. In fact, players are engaged in creating a universe of their own, along with millions of other users all over the world. 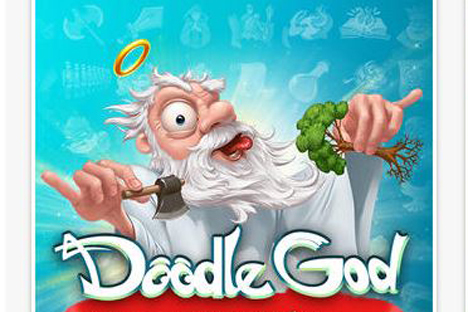 In fact the process is so good that “Doodle God” has attracted 100 million users. At first, “Doodle God” was released only for iOS but it has now been exported to over 30 game platforms. The game was developed by JoyBits Ltd. Over the last 12 years, the company has grown from a small studio in St Petersburg into an international game brand. Its portfolio now has over 40 mobile games and applications, including a branded game for the St Petersburg-based FC Zenit and a game for the mobile phone retail chain DIXIS.